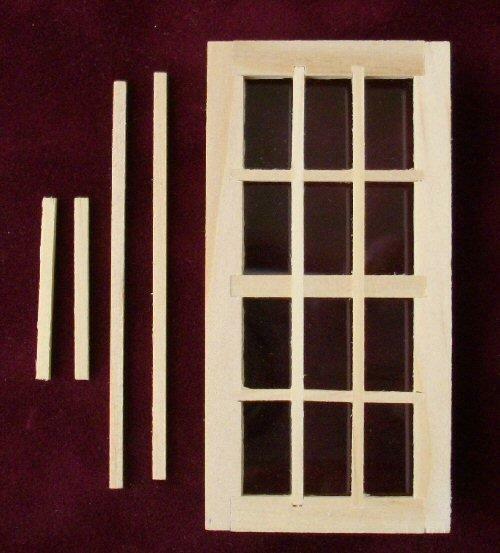 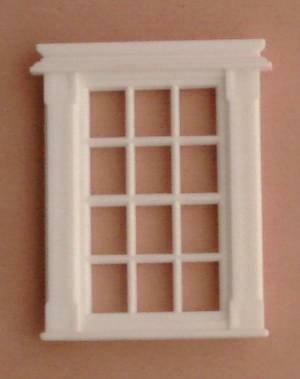 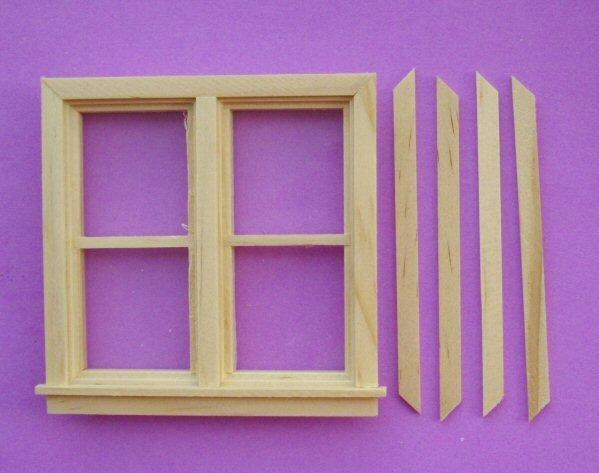 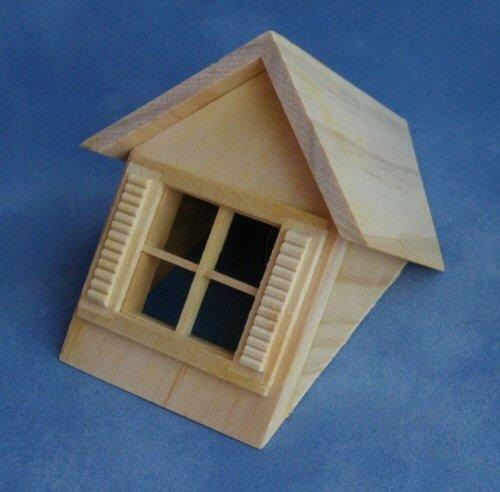 1/24th scale Victorian style dolls house wood sash window from Houseworks. 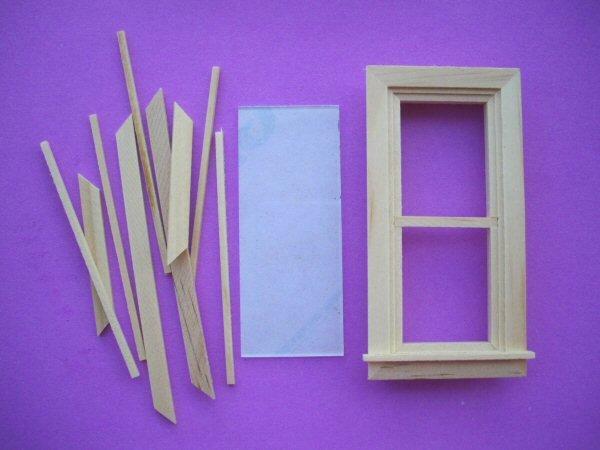 Includes wood trims for interior and acrylic glass panes. 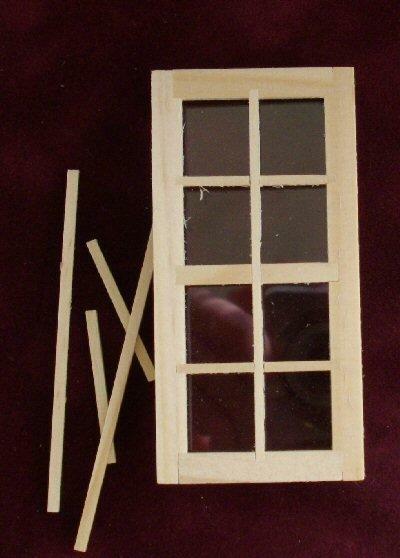 Windows are non opening.. 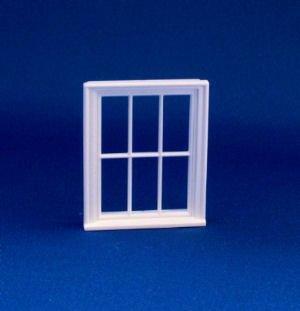 Overall size 78mm high x 77mm wide. 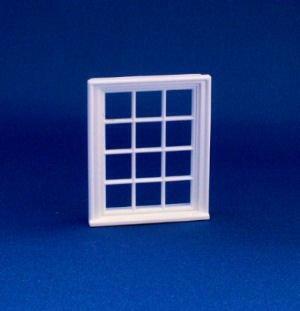 Size of opening needed 70mm x 70mm.